Most VR experiences so far have been games and 360-degree videos, but Google is exploring the idea that VR can be a way to learn real life skills. The skill it chose to use as a test of this hypothesis is making coffee. 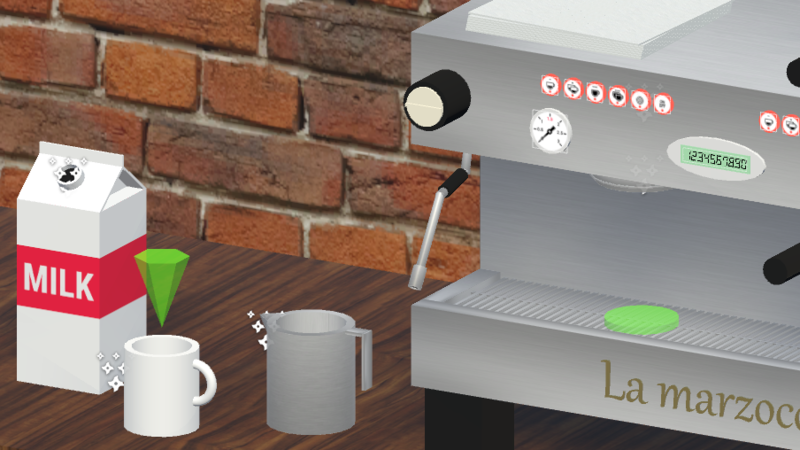 So of course, it created a coffee making simulator in VR. The result was surprisingly supportive of VR learning. The experiment evaluated two groups of people as they tried to learn how to make espresso. The first group watched YouTube videos and the second got to use the VR simulator. Google designed the simulator to be as realistic as possible, so all the buttons and dials on the machine matched the real life buttons and dials. There was also a built-in tutorial that showed them what to do at each step in VR. Participants were allowed to watch the video or do the VR simulation as many times as they wanted, and then the test—they had to make real espresso. According to Google, the people who used the VR simulator learned faster and better, needing less time to get confident enough to do the real thing and making fewer mistakes when they did. This is only one test, but Google says it learned a lot about how to design future simulations. For example, Google had to use several types of tutorial steps in VR to make sure people followed the directions. Subjects also frequently got too close to the hot steam nozzle in real life because VR can't effectively relay such a warning (they needed a chaperone to make sure they didn't burn themselves). People also tended to do things out of order, so the simulation had to be able to track the state of objects rather than just knowing what step the person was at. Google says it will use the things it learned in this test to refine future simulations. Perhaps one day you'll actually be able to learn something useful in VR. No promises, though.